Steven Sleven was recently awarded a record $22 Million by a federal jury. It is being called one of the largest prisoner civil rights cases in US History. Stephen Slevin’s life will never be the same, and says his lawsuit was never about the money. He deteriorated mentally and physically while spending two years unjustly in solitary confinement Dona Ana County Jail. Today he suffers from Post-traumatic Stress Syndrome (PTSD), along with other residual illnesses from the trauma of his unjust incarceration. Before the arrest, Sleven suffered from depression, and thought it would be helpful if he got out of the state for a while. He borrowed a friend’s car, had a few drinks, and that’s when the nightmare began. Slevin was stopped by police, arrested, and thrown into a padded cell Because of his mental illness, he was held in solitary confinement for the next two years, and was refused mental health medications or treatment, despite his pleas for help. He was grossly neglected, and never given a trial. He was denied the right to a dentist and for forced to extract his own tooth because he was in so much pain. He was deprived of showers, and other personal hygiene care, which resulted in skin funguses. Prisoners were entitled to one hour each day out of the cell, of which he was often denied. He finally lost his will to even leave the padded cell. After finally being released, Sleven hired an attorney and sued Dona Anta County for a multitude of civil rights violations including violations of his Eighth Amendment Right against cruel and unusual punishment and prevailed. Slevin reported that those prisoners who suffered from mental illness, were all thrown into solitary confinement left to deteriorate, and refused mental treatment. Sleven wanted to raise awareness on behalf of all the other inmates who remain in detention still being neglected and abused. Liability, and Remedies for Victims of Cruel & Unusual Punishment or Police Brutality & Wrongful Death. Following the settlement award announcement, Dona Anta County Officials refused to comment on whether the $22 million ordered by the judge would come from taxpayer money. Generally in the case of wrongful death during arrest or detention it is the County or other jurisdiction that is sued. Maricopa County (MCSO) has paid out more than $25 million in settlements or awards for wrongful deaths over the last 20 years while a suspects or inmates were detained or incarcerated in Jail. In most cases the County is sued, and the settlements are paid by taxpayer dollars. Some Counties have Excess Insurance that pay a portion of the defense costs and awards. Maricopa County is the 4th largest County in the United States. It is common for large populous jurisdiction to carry high maximum insurance policies and as well as budgeting annually for what is known as a Self-Insured Risk fund. That amount is generally about $5 million, on hand. The MCSO like many counties with similar risk exposures also carry coverages known as reinsurance or in-excess policies. In these cases, the county pays a portion of the loss to a certain threshold. At the threshold point, the excess or reinsurance would begin to provide coverage to a declared maximum. In Maricopa County it the cost of insurance premiums has increased due its litigious exposures and claim experience. A recent report by the Arizona Central local media outlet that the MCSO pays over $2 Million annually for the sum of coverages from 6 different insurance policies, to provide $55 Million in coverage for defense costs and settlements to cover a wide range of high risk exposures including lawsuits for assaults or wrongful deaths that occur during detention. On June 5th, 2014 The Ninth Circuit U.S. Court of Appeals ruled unanimously that a federal class action lawsuit may proceed against the state of Arizona on behalf of 33,000 prisoners incarcerated in 10 prisons as well as all future inmates. The lawsuit evolved around the poor conditions, excessive use of solitary confinement, neglect of medical treatment for the physically ill or injured, and neglect of basic psychiatric care and medications for mentally ill patients suffering from severe mental illness such as schizophrenia. The lawsuit is considered landmark in the area of criminal rights. The law suit was filed against the state by the American Civil Liberties Union (ACLU) the Prison Law Office and Law Firms of Perkins Coi and Jones Day. Trial is set to begin in October 2014. The suits will be brought for constitutional violations under Federal Rule 42 USCA § 1983; often referred to as a “Section 1983” lawsuits. These are civil right law suites which protects inmates in prison or jail, or civil detainees, from being deprived of their Constitutional rights. These violations may be caused by police officers, guards, or anyone in an employment capacity for the police agencies, jails or prisons. Generally prison Guards are usually immune under Qualified Immunity Laws from civil suit liability as long as they were acting in the performance of their jobs and not in violation of the prison policies, or procedures and acting appropriately within their job performance guidelines. However, a prison guard may be named as a defendant in a claim as well as the state or government entity that employed them if the death or injury occurred as a result of abuse, use of excessive force, gross misconduct. Legal Defenses and Settlement financial responsibilities are set up much like the county in that the states usually budget for legal defense from tax payer dollars, and carry excess insurance which are also paid by the taxpayers. Much controversy has surrounded private prisons legal defense and settlement exposures. While they may allow for budget and funding, or insurance, the risk still exists that the amounts will not be adequate to cover legal defenses and settlement awards. This can results in a shifting of the liability to the state or government entities. Like prison guards, police officers are also protected under the doctrine of immunity laws also known as Qualified Immunity. It’s somewhat of a barrier for plaintiffs, because the officers themselves are immune to some extent from claims brought against them personally. They have a board range of authority, and without strong evidence it is often difficult to prove the police officer was acting outside the scope of their employment duties or authority. Like jails, prisons, and guards, claims are brought in violation of Federal Laws Section 42 U.S.C. § 1983. Though this is a Federal law, other violations may exist under the state level abuse statutes. However, police officers can are sometimes found guilty of brutality, use of excessive and unnecessary force, assault and battery, and wrongful death. For example liability may ensue as a result of actions such as beating a fully restrained detainee, or in fatal shootings. However, in cases of this nature, the officer is rarely forced to pay out of their own pocket for settlements or awards to the victim, or their families. In these cases the awards be paid by a number of sources including but not limited to the police agency city, police unions or associations, or their respective insurance companies on behalf of the individual officer. Some states, cities and towns have special insurance that strictly covers police officers in the line of duty. Some of the larger cities are self-insured, which means that they have set aside funds to pay judgments. Those set aside funds usually come from state, county and city tax payer dollars. It’s important to be aware that many employers, agencies, union, or police associations may refuse to pay out settlements or awards if the investigation concludes that the police officer committed a willful or malicious criminal act. For example, a sexual assault following an arrest would constitute a willful crime excluded by the coverage. In cases with the Agency, Police Union, or Employer excludes payment, the plaintiff will need to attempt to recover from the city, municipality or jurisdiction to recover compensation for the loss. Whether you were arrested, convicted of a crime, or serving time in jail, you still have fundamental and constitutional rights. These serve to protect you against police brutality, or cruel and unusual punishments. If these rights, police procedures, jail or prison rights have been violated it can result in irreparable mental and physical harm, or wrongful death. Inmates and their families should know there are remedies available that can be pursued, to bring justice, and help an inmate or family recover in the least, financial losses due to their pain, suffering, and trauma. Complaints and litigation in these situations can be complex in nature and involve more than one defendant. There are formal complaint procedures that must be followed, and the case requires a full investigation. You should always hire a qualified personal injury or civil rights attorney to discuss your matter, and retain them if you wish to pursue a claim. They will act on your behalf to insure that proper complaint procedures are followed, and that the liable parties are pursued effectively to increase your chances of getting the best outcome in your case. James Novak is DUI and Criminal Defense Attorney in Tempe Arizona. He is a former prosecutor for Maricopa County, with extensive litigation experience. He practices exclusively in defense for impaired driving and criminal charges in Tempe, Mesa, Chandler, Scottsdale, Gilbert, and Phoenix Arizona. He provides a free initial consultation for active charges. 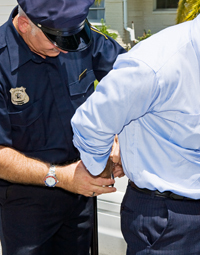 To learn more about criminal and DUI defense in Maricopa County visit his website at www.novakazlaw.com . PreviousPrevious post:Insurance Denials for Consumers who Purchased Insurance; 2 RI Cautionary TalesNextNext post:Car Accident Victims Need Consent to Settle Before UIM Claim! What Is The Minimum Liability Auto Insurance Coverage in Your State And Why Should You Carry More If Possible?